JOIN US FOR A NIGHT IN BRAZIL! JOIN US FOR AN INCREDIBLE EVENING OF HOPE! PROVIDING HEALTHY, HOT MEALS TO PEOPLE IN NEED. Join us for an incredible night featuring inspiring stories from Life Connection Center guests, an authentic Brazilian meal, live Brazilian music, raffles, and you! Sponsorship Opportunities are available, see below for package details. Check Payments - Download, print and mail form by clicking here. Online Payments: - Quickly pay online with a checking account or debit card by clicking here. Join us in us in providing a healthy, hot meal to homeless citizens of Lowell, Massachusetts. Promote your company or brand to influential community leaders and potential customers. 300 persons expected in attendance from various business sectors including small and large business owners, medical service providers, human services organizations, small and large churches, government leadership, volunteers and persons accessing our services. Network with like minded citizens focused on human services, faith based initiatives, healthy eating and hunger issues. Logo, text and link on Life Connection Center website, social media and email campaign. 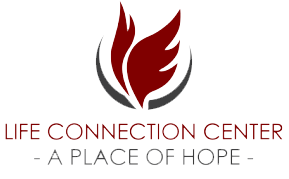 Logo, text and link on Life Connection Center website and social media. Please email us at contact@lifeconnectioncenter.org if you have any questions.